Comprised of a glossary of hundreds of terms central to this important field - from "Americanization", "AIDS" and "Cultural Imperialism" to"Rap and Hip Hop" and "Zoot-Suit Riots"
An indispensable reference for anyone who needs a helpful guide to this dynamic and flourishing area of study. 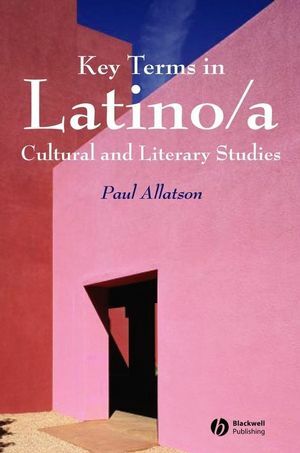 Paul Allatson teaches in and coordinates the Latino USA and Spain International Studies Degree programs at the Institute for International Studies, University of Technology, Sydney. He is author of Latino Dreams: Transcultural Traffic and the US National Imaginary (2002), and chief editor of the multilingual PORTAL Journal of Multidisciplinary International Studies.